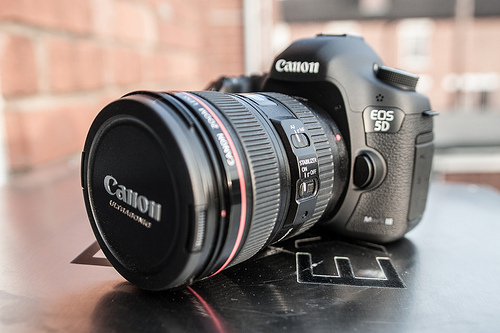 A DSLR camera is so much more than a point-and-shoot tool to take nice family pictures. With a few basics tips and a lot of practice, you can create artistic-studio quality work that you will be proud to share with family and friends. Here are a few tips to help you get the most out of your purchase. Read your manual; it’s a time investment you won’t regret. The great thing about the user manual is everything you read can be applied right away. If the thought of reading the whole thing at once intimidates you, start with a chapter at a time, and experiment with what you learn. Remember to thoroughly clean the camera lens before each photo session. Good old Nokia has turned up trumps this week in a manoeuvre that will impress many. 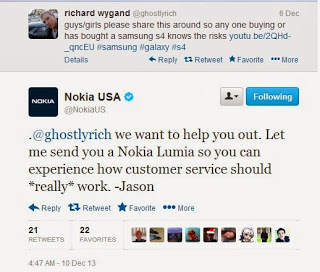 Nokia USA is offering a Lumia to Richard Wygand who’s Samsung Galaxy S4 recently caught fire whilst charging. Richard took to a social network to show off the damage. Posting a video on Youtube of the flames licked device Richard was offered a replacement by Samsung, however he was asked to remove the video from Youtube. Samsung was hoping to keep the issue a secret and sort out any issues without publicity. Richard refused to remove the video.